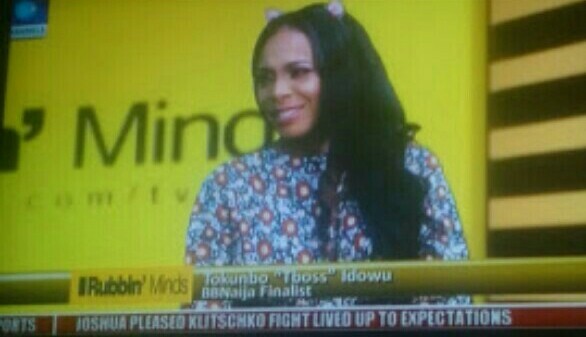 Big Brother Naija former housemate TBoss was a guest on Rubbing Minds on Channels TV earlier today where she spoke on the highly controversial sexual assault on her in the house the led to Kemen’s disqualification. 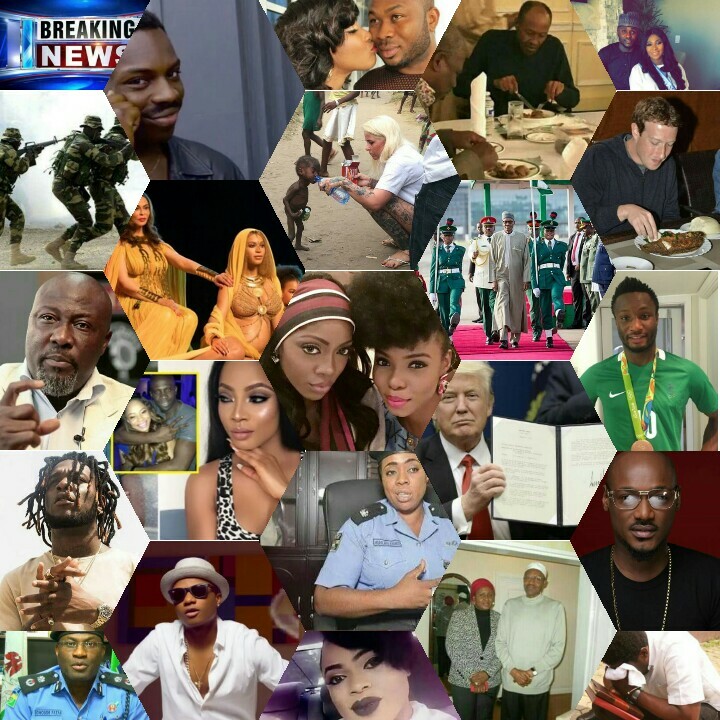 Tboss whose real name is Tokunbo Idowu, told Rubbing Minds host, Ebuka (who also hosted the Big Brother Naija show), that Kemen has tried calling about 20times since she returned from South Africa to Nigeria but she is not ready to speak with him. 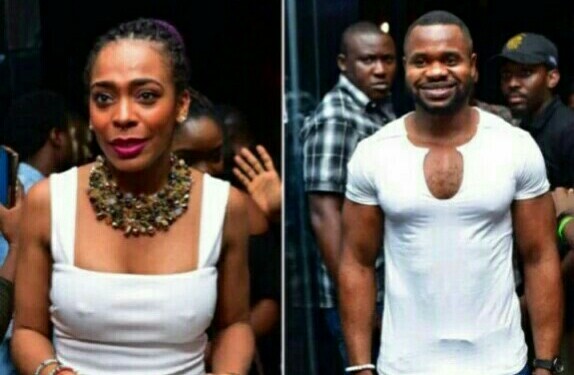 TBoss added that although she has attended functions in which Kemen was also present but she avoids him, as she feels he violated her. “I considered Kemen a friend. He was my go-to guy. He was my buddy, my muscle. He encouraged me. He motivated me. So for what happened to have happened considering all the people that look up to me, it was sad. I was angry. I was humilated and I did feel violated but I don’t play the victim card. I honestly think that the decision that Big Brother took was the only decision that could have been taken. And everything that Kemen has to say about that, na him get him mouth, e fit use am talk wetin him wan talk but he knows and we know. “I totally feel it was insensitive of him. It was very insensitive because like I said, I have a lot to say. Everyone who watched the show knows I am a very emotional person and I am very sensitive and this is not something that can’t be overlooked or joked about. I see the comments. I sneak into my Instagram and see the comments and I am like look, you are a female. This could have happened to you. This probably has happened to you. This incident was on camera. People saw it and people still chose to make light of this situation and make a joke out of it. If I consent to you touching me, that doesn’t mean I consent to you kissing me or going the extra mile. if you do that to me on international tv and someone out there feels it is content for a joke, its unfair. You do not have to have a daughter or a sister or any female that is close to you for you to know that what went down was not ok. You just made a mockery of my emotions and my pain. That was insensitive”. “That was sad, that was just sad. Coming from someone of that calibre”. TBoss reiterated that if she had walked away with the winning prize of N25 million, she would have spent it in a week considering all the things she would use it for. According to TBoss, she had planned to take her mother on an all expense paid vacation and get her a lovely gift. She also planned to sponsor the education of her five god-children while the rest would go to purchasing a Chanel bag for herself.